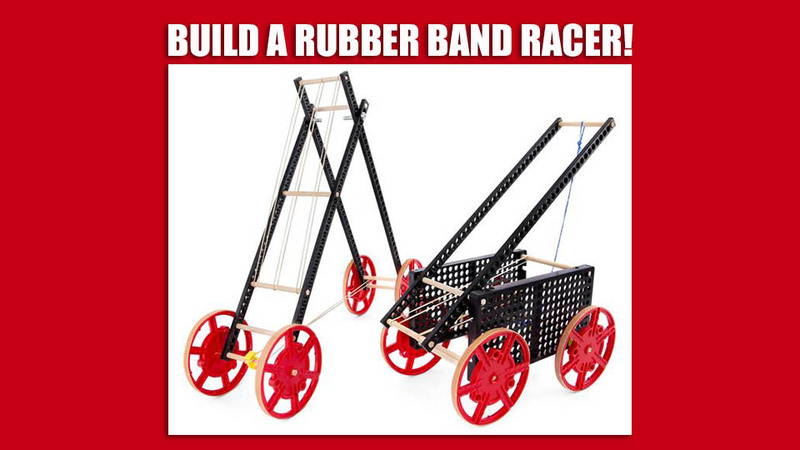 Date: Apr 16 2019, 12 p.m. - 1:30 p.m.
Young Explorers will get to build their own Rubber Band Racer and put it to the test with a series of challenges. There are two times to choose from; 12 - 1:30 p.m. or 2 - 3:30 p.m. The build will take place in the White Room of the Library Building (Sosa Center). All tools and supplies will be provided. Young explorers will get to take their racer home with them. Library staff will go over the rules of the road, and guide young explorers through the design and build phase. After designing and building, Explorers will put their racers through a series of tests and challenges. Each session gives explorers 90 minutes to play, but explorers are welcome to leave early. Open for ages 8 - 12. A maximum of 10 explorers are allowed per session. Please sign up with the Library in person or over the phone at +1 (703)805-4244. Have younger children? Check out the Build the Day Away event on Thursday, April 18.